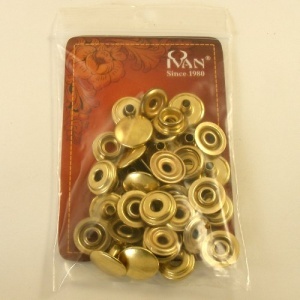 These sturdy Ivan Brand brass plated ring spring press studs are ideal for use on leather jackets, straps and belts, chunky wrist bands and much more. 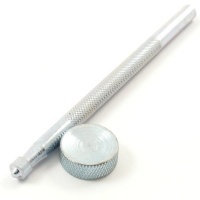 The caps measure 15mm across, and the stems can take up to approx 3.5mm of leather thickness. If your leather is thicker than this, it can be carefully thinned where you want to attach your popper, using a leather beveller. 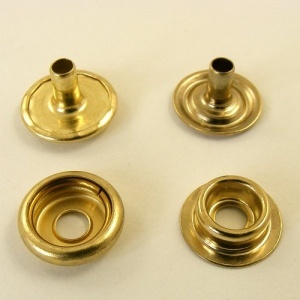 For the correct fitting tool to accompany these poppers, please see related items below.